4 Sep 2017, 7:43 p.m. 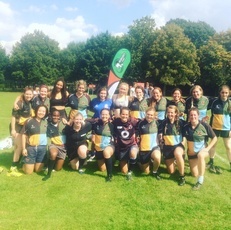 The good folk of Hackney rugby club awoke to a glorious summers day on Saturday 2nd September, it was a day that had feel of the first proper weekend of the season with three teams in action, our junior section restarting on Sunday and the Twickenham double header on TV screens. The days schedule was three away games but all vaguely in the greater London area. That convenient layout and a desire to get the slightly cumbersome hashtag #shauntoursthegrounds trending on Twitter meant I set out to get to all the games.